Google kicked off its annual I/O developer conference with a quick overview of Android M. While not yet divulging what the “M” stands for (the rumor mill believes it’ll be Macadamia), the search giant did cover six key goals and features of M.
As is expected with iOS 9, Google is going back to the basics with M. The next iteration of Android will focus on quality and polish by improving the core user experience and rethinking fundamental aspects of how the platform has worked for years. Naturally, this also includes thousands of bug fixes. It starts with app permissions as users will have more control over permissions that’ll be presented in a simplified manner. Instead of granting permissions during installation, new apps will seek out permission for basic categories when launched for the first time. Users will also be able to grant or retract app permissions after the fact although it’s worth pointing out that existing apps will continue to behave as they do today and won’t adopt the new permission controls. Elsewhere, Google is improving the web experience within apps through a new feature called Chrome Custom Tabs. This more or less allows developers to inherit Chrome’s look and feel within apps when involving web content. Google demonstrated this using Pinterest where the transitions were incredibly fast, a trait that’s possible as the content is pre-fetched ahead of time. Along the same lines, Google is also updating its app linking system. In a nutshell, this will allow apps to open content directly and eliminate the annoying dialog in which Android asks what service or app you want to use to open or handle a particular item. Android M will usher in a new payments system known as Android Pay. The service will use NFC and as we’ve seen on competing payments platforms, your actual card number won’t be used during a transaction for security purposes. Google is partnering with multiple banks and mobile carriers on the initiative and already have 700,000 retailers in the US lined up. What’s more, Android Pay will be available to developers to integrate into their apps. It’ll arrive alongside M later this year and will be compatible with devices running KitKat and newer. Google is also building biometric fingerprint reader support into Android M. This means users will be able to unlock their devices, authorize Android Pay transactions and more with ease instead of having to rely on manufacturer-specific implementations. Android M will introduce a new power-saving feature called Doze that’ll use motion detection to determine when a device is no longer actively in use. When that happens, it’ll suspend most background apps and services to preserve battery life. Google described it as trading app freshness for battery life. Doze will still allow alarms and high-priority texts to come through, however. The search giant claims it’ll help extend the life of a device on a single charge – in their testing, a Nexus 9 – by up to twice as long. Along the same lines, USB Type C support is also coming to Android. As you may know, this will lead to up to 3-5x faster charging times and the bi-directional connector will make it easier to plug the cable into your device. Last but not least is a bevy of smaller changes and new features. Google presented these in one heap but did quickly outline a few like simplified volume controls (many didn’t care for the volume changes introduced in Lollipop) and a floating clipboard toolbar which got a reaction from the audience. 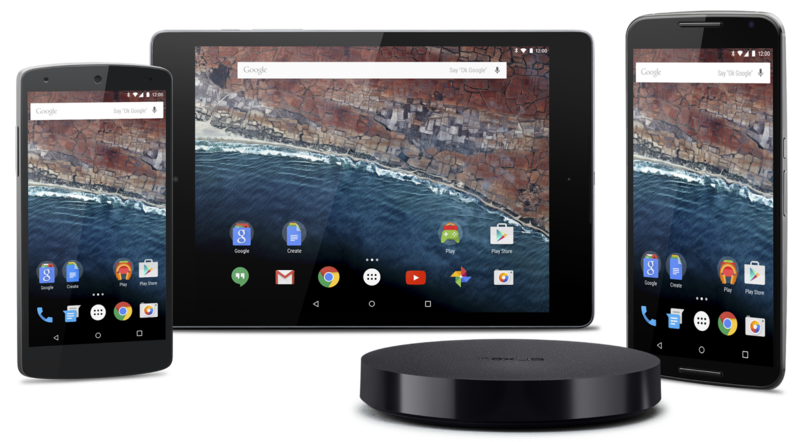 The developer preview of Android M is available today for Nexus 5, 6, 9 and Player devices.